Cosmo electrical is engaged in wholesaling a comprehensive range of EPR Rubber cables. With the solid assurance to quality, we are able to offer EPR Rubber Cables which are manufactured incompliance with the international quality and standards with the current market demands. At our vendors premises the cables are contrived by superlative grade materials like annealed tinned copper and heat resisting elastomeric procedure to make sure the high-grade end products. These EPR Rubber cables are provided to our clients with ethylene propylene rubber cables which are prepared with one of the tremendous excellence rubbers that are ethylene propylene rubber which is a drenched chain of poly-methylene type. 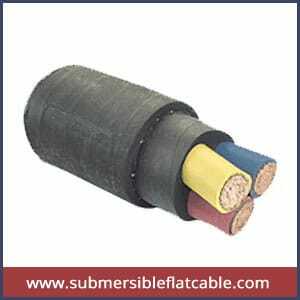 We are providing these EPR rubber cables to our clients at a very economic range of prices.